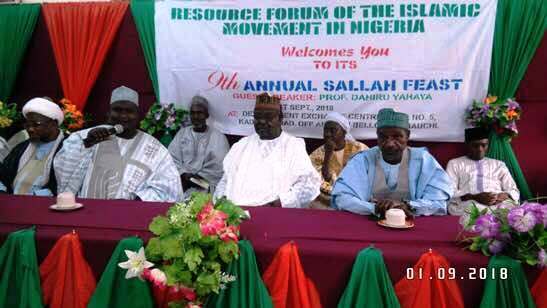 The Resource Forum of the Islamic Movement in Nigeria has held its 9th Annual Sallah Feast in Bauchi, Nigeria, on Saturday 21st Zul hijjah, 1439 (1st September, 2018) with many dignities in attendance. 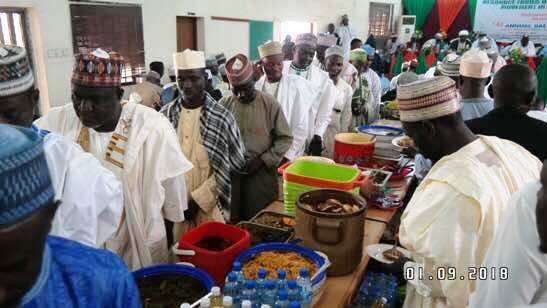 Amongst those present include Prof Dahiru Yahya as the special guest speaker, Shaikh Adamu tsoho, Shaikh Ahmad Yashi, Shakih Dawud Azare, Dr Nuradeen Azare, Prof Isa Mshelgaru, Mal Sadiqu Inuwa a Muslim cleric in Bauchi, Alhaji Musa Santuraki Pali Chairman Ashabul Kahfi Bauchi, Hon Hafiz Mai Auduga , Rev. 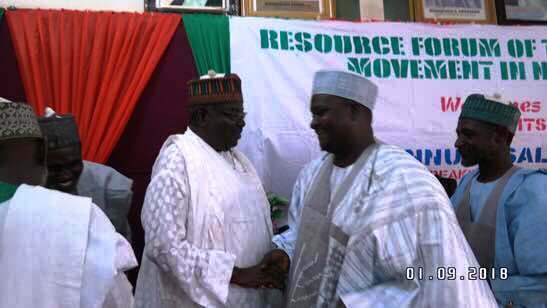 G G Kumbe Vice Chairman of CAN Bauchi, M S apostle, S O Fagbemi, Rev. 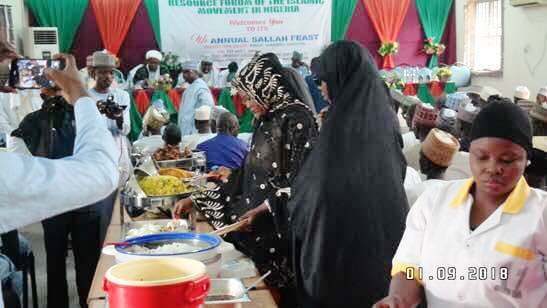 Masoyi J Dadi, Evang. 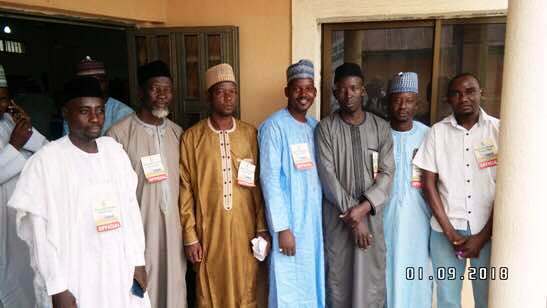 Emmanuel Okere, Alh Mi’ka’il Ajiyan Bura, Malama Suwaiba Muhammad, Shaikh Dan’azumi Musa Tafawa Balewa, Deputy Chairman Council of Ulama in Nigeria, Bauchi chapter, Alhaji Sani Al’amin a Politician etc. 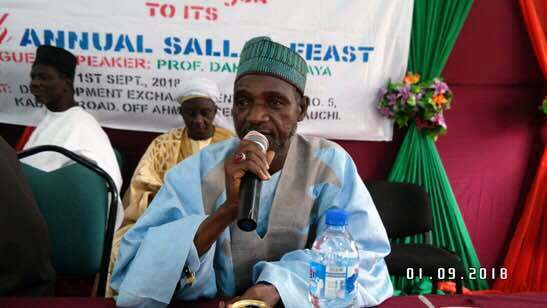 In his introductory speech, Prof Abdullahi Danladi the Coordinator of the Forum mentioned that sallah feast was initiated nine years ago to serve as avenue for a get together, where followers of Shaikh Ibraheem Zakzaky (H) who were together at one time in different higher institutions of higher learning and now living in different parts of the country and the rest of the world could come together. 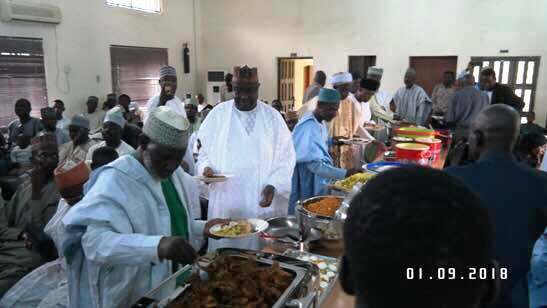 More so to serve as an avenue for interaction of like minds who were once together in different higher institutions and working together to bring positive change in the country and to uphold supreme authority of Allah (T) for the progress of the Nation. 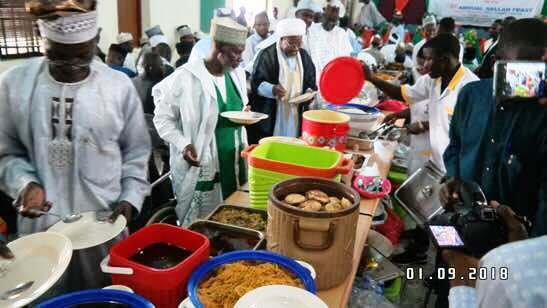 Likewise the Feast serves as avenue for mutual understanding and unity amongst people irrespective of differences in ideology, religion, ethnicity etc. He also spoke of the significance of Eidul Ghadeer where the Noble Prophet (SAWA) appointed Imam Aliy (AS) as his successor onto whom the Muslims should owe allegiance for guidance. 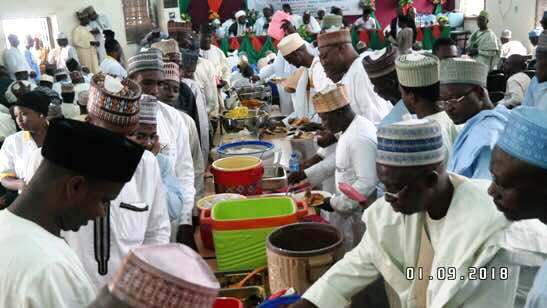 This very path, he siad, is the path which Shaikh Ibraheem Zakzaky (H) has been calling people to, which has lead to those in the helms of affairs in Nigeria to carry out a historic massacre of the followers of the Sheikh in December, 2015 in Zaria while the Shaikh, his wife Malama Zeenatudeen and many of his followers aare being held in detention despite a Federal High court order, ordering his release since 2016. 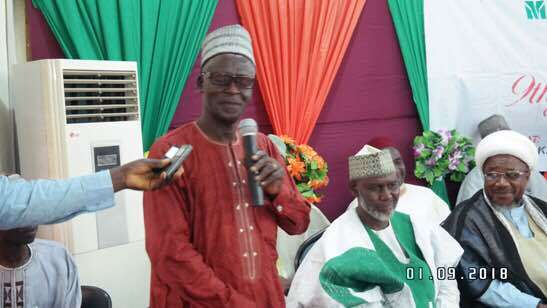 The Special Guest Speaker, Prof Dahiru Yahya a renowned Historian in his speech at the occasion on the topic “Nigeria Nation and the Way Out”, reviewed the history of various struggles that were intended at seeing Nigerian Nation moved out of the problem they were in, one of which was in the Nigerian constitutional assembly in which he was a member. 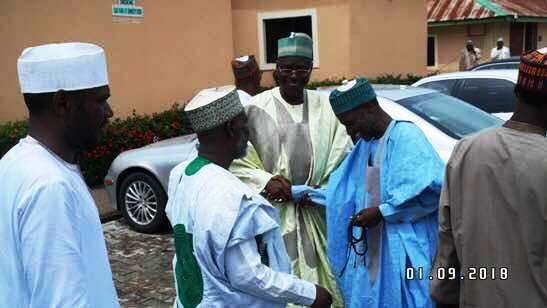 At that time he called for Kano to move out of the Nigerian nation, that after the debates it was agreed to maintain status quo, but no progressive change was seen. 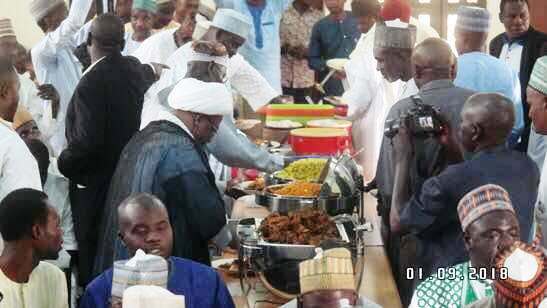 He added that a revolutionary ideology was heard from a higher institution with a call to Islam lead by Shaikh Ibraheem Zakzaky (H). 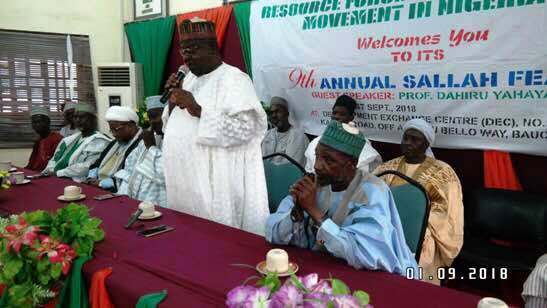 Today this movement has grown with large followership within Nigeria, neighboring countries and infact different places of the World moving towards that very path shown by the Noble Prophet (SAWA). 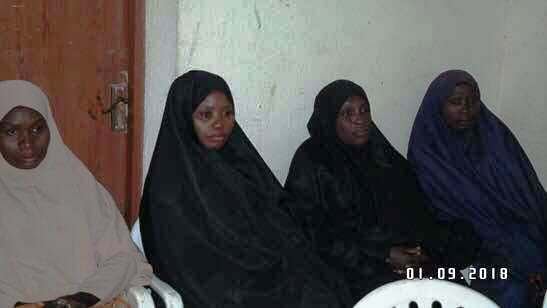 The population classified into Muslims and that are understanding Islam and will become Muslims. 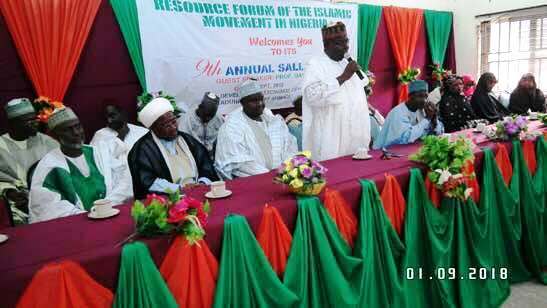 He also reiterated this very movement led by Shaikh Zakzaky (H) is being oppressed, molested in different forms by tyrants and oppressors, in the name of being Shia Movement. 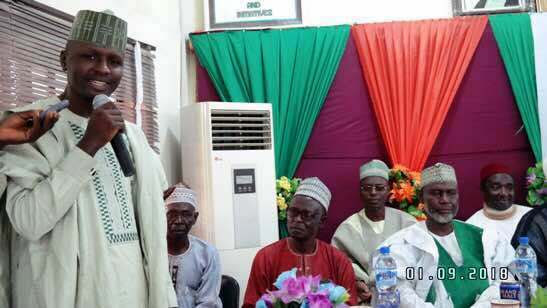 He also explained that the path Shaikh Zakzaky (H) is calling people to is not different from that of the Noble Prophet (SAWA) and his Ahlul Bait (AS). He further said after the Prophet (SAWA) history has documented various attrocities meted on his true and righful followers by those who betrayed his noble path. 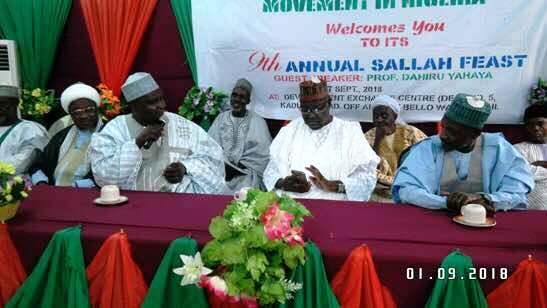 Prof Dahiru Yahya called toward upholding justice and unity amongst Muslims irrespective of differences, while they should always try to know themselves better through different means, because it is this very path that will foster them together and protect them from any form of tyranny championed by the world arrogant and oppressors. 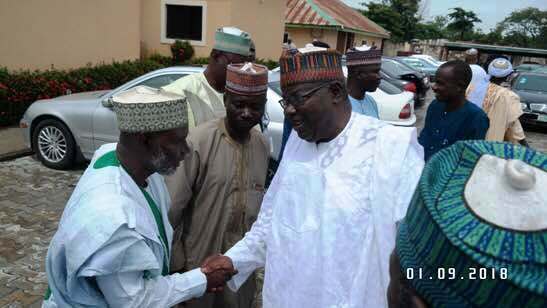 Rev G G kumbe the deputy CAN President in Bauchi State, made comment in which he stated how he was pleased and happy when he interacted with followers of Shaikh Zakzaky (H) where he saw them to be peaceful, expressing love and care to different people irrespective of their religion or tribe. 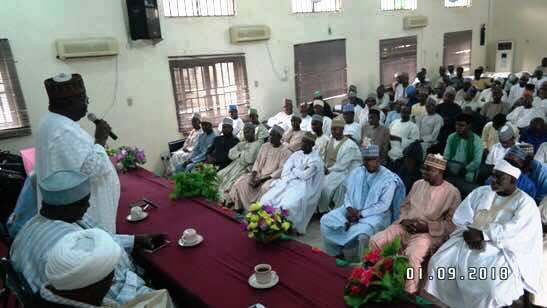 He caledl on all to uphold this very attitude of brothers and sisters of the Islamic movement upholding justice and calling for unity. Shaikh Dan’Azumi Musa, in his remarks also called for unity amongst Muslims expressing even Imam Shafi’I in his books has commended the Shia’s in which he sees no reason castigating the Shia’s. 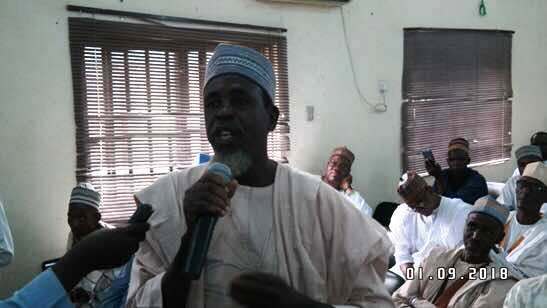 More so Hafiz Mai Aduga, Engr Ahmad Yusuf also called for unity for the progress of this great nation. 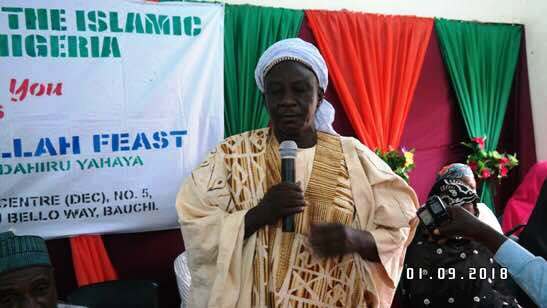 Shaikh Adamu Tsoho made an opening prayer with recitation of some few verses of our Noble Qur’an from Gwani Karibullah. After feast was served, Shaikh Ahmad Yashi closed this year’s feast with closing prayer.